The brand name 'Linea Verdace' was also launched in the nineties, reflecting the family name. Since 2002, Linea Verdace/GEVE is located in a brand new building of more then 8000m². The company GEVE was founded in 1969 by Mr. and Ms. VERDAT sr. In the early beginning GEVE manufactured design lamps. After some time GEVE worked with many sub-contractors and also added a part of distribution to its activities. From the garage where it all started, GEVE grew up to the mature company it is today. The area covered was mainly Belgium and Luxemburg. In the early nineties the second generation entered the family business, and chose for a strategy of manufacturing and branding. This as well as export to different countries. 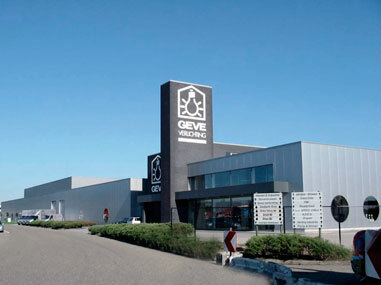 GEVE grew from a mid to major size company still 100% owned by the Verdat family.